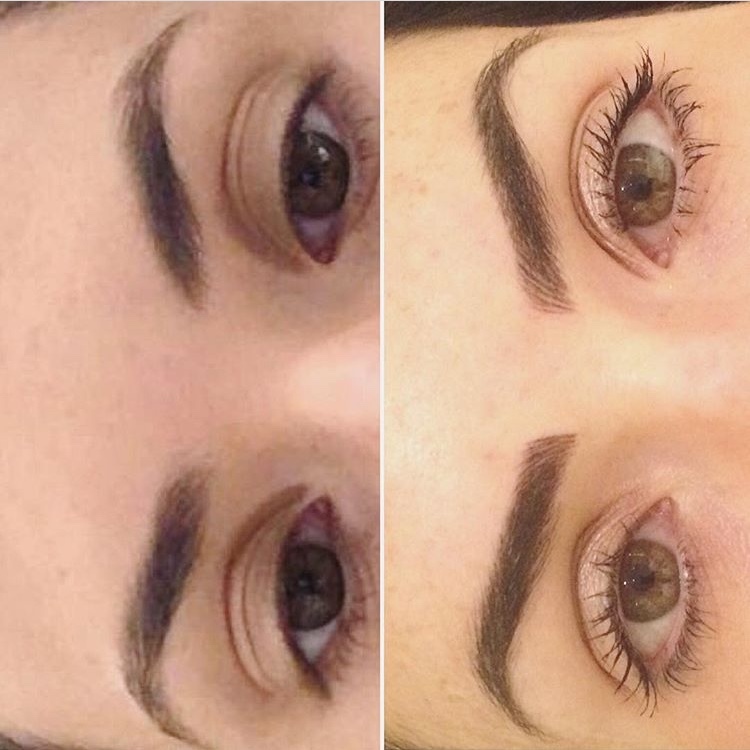 Microblading is a procedure using a hand tool with very fine microblades to make small hair like strokes into the skin, then allowing pigment to settle into them. This can last anywhere from 1-3 years, making it semi permanent. This is a two step process, which includes a complimentary 4-6 week touch up. We encourage you not to miss this step. A lot of reinforcement happens then and you can opt to have a darker shade if it's faded too light and we can add more fullness. We look forward to helping you 'grow' your dream brows! It is important to remember each client’s skin responds differently to these treatments. This information acts as a guideline only. Congratulations on your new brows! Now you can relax and do nothing for the next little while. Taking good care of your newly tattooed eyebrows is simple and easy. We recommend using the dry healing method, where for the first 2-3 days, nothing touches your brows except the coconut oil we've provided. After the first few days, you can wash the tattooed area GENTLY 1-2 times a day (day + night) with lukewarm water and a disposable paper towel, gauze or cotton round. Pat the area dry and apply a THIN layer of the coconut oil that has been supplied to you. Keep it out of the sun throughout the healing process. Do not apply ANY products or cosmetics in this area and avoid sweating for AT LEAST 7-10 days. Keep the area clean and let it breathe! Immediately following your procedure, the tattooed area will appear to be darker and bolder in color and more sharply defined. This can last up to a week after the treatment while the initial healing process takes place. The treated area may feel a bit tender, like sunburn afterwards but there should be minimal discomfort. During the initial healing period, there may be some scabbing or flaking of the skin. Do not pick, and allow the scab or dry skin to come off on its own. The complete healing process takes about 2-3 weeks not including touch up, depending on your skin type, at which time the true color of the tattoo will revealed itself. During this process, you can expect your brows to lighten and fade about 40=50%. Be patient, even if you think too much color has been lost, as your skin is still regenerating and naturally exfoliating. Wait at least 6 weeks to see the true color, as it seems to take on new strength. You may shower or bathe normally, but avoid getting any soaps, shampoos or other cleansers on the treated area for the first 7 days as they can be detrimental to the bonding process that must take place for the pigment to stabilise in the dermis. Once the flakes have fallen off, a shiny layer of healing skin will completely cover the hair strokes. It may appear as though the tattooed area has completely disappeared. Within 1-2 weeks, the hair strokes will slowly reappear at a lighter shade as your skin regenerates. Do not soak your face underwater in a bathtub or allow the shower to spray directly in your face for one week. Glycolic acid, microdermabrasion, and chemical face peel products must be kept away from the tattooed area as continued use could lighten the pigment. Please let your esthetician know you've had microblading done. Enjoy your newly "grown" brows!